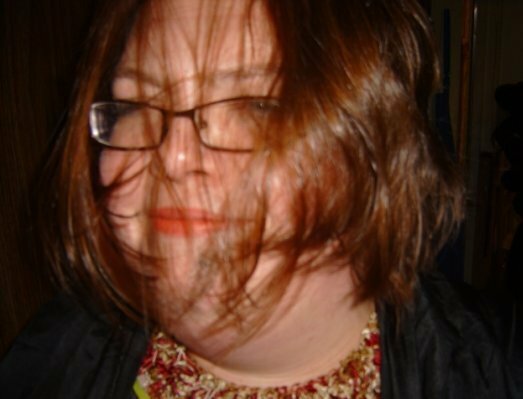 It has been five years since RevKess dragged KaliSara online to do the first episode of Pagan-Musings. Hard to believe it has been that long! And yes, RevKess had to “drag” KaliSara. He was unemployed and going stir crazy, trying to find something to fill his time while waiting for potential employers to get back with him. So he asked her, “Wanna sit in on my first podcast? I don’t know what I am doing, but it could be a lot of fun!” Five years later and they’ve hardly missed a week (those that have been missed have been due to technical difficulties). Both hosts enjoy doing the show. They enjoy the music and meeting them musicians. They enjoy the books and talking with the authors. They enjoy sharing news and information with their listeners. On a deeper level, RevKess feels that the show, indeed almost everything he does with PMPChannel, is part of a calling that he has to teach. For KaliSara she feels that she has something to share with others, with the hopes that what she shares will be of benefit to others. Along the way both hosts shared some of their favorite topics and guests. As you can see from the list below, PMPChannel plays host to other shows, some of them as one-off’s, some as series. 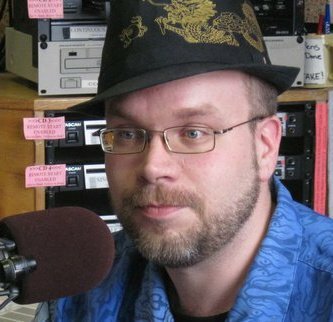 PMPChannel plays home to the podcast version of Murphy’s Magic Mess and Lavender Hill from KZUM. Kerr Cuhulain: How to be Glorious! Beginning on Saturday 7 September 2013 and Sunday 8 September 2013 Pagan-Musings Podcast and Musica Pagani are flipping around. Due to a major scheduling conflict, RevKess and KaliSara have decided to flip the programs around. As many of the regular listeners have no doubt noticed this summer, RevKess has been absent more often than not from Pagan-Musings. With football season starting up it is almost guaranteed that he will be unavailable for any of the live Saturday broadcasts for the foreseeable future. With careful consideration, the hosts have decided it would be in the interests of the listeners and the channel to change things. Beginning on Saturday 7 September 2013 at 7pm Central you can hear Musica Pagani in a recorded format. RevKess wil continue to bring you music from the New Age and Pagan genres along with interview segments with some of those artists. You can also catch some RevKess’s music reviews over at his review site. Beginning on Sunday 8 September 2013 at 7pm Central you can hear Pagan-Musings Podcast, most often broadcast live. KaliSara and RevKess will continue to bring you talk and information from the Pagan community with a variety of topics and guests. Here at PMPChannel we hope that you will find this change to be easy and cause little to no disruption to your listening experience. The hosts are looking forward to being able to continue to bring you the information and entertainment you have grown to appreciate over the years, as well as spice things up a bit with some new topics, new guests, new music, and lots of fun! You can contact the hosts of PMPChannel at paganmusings@gmail.com or on Facebook. At PMPChannel we get several CDs a month plus permission from more artists than we can keep up with during the normal course of shows. A while back RevKess started doing editions of Musica Pagani to showcase those very musicians. KaliSara, Zaracon, Julian and RevKess do their best to give these musicians due time on their shows, but there just isn’t enough time during a news or talk program. In this first edition of the revised show you hear music from New Age artists like Stephen DeRuby, Anima, Lia Scallon and Dan Kennedy. You also hear from Pagan musicians SJ Tucker, Cernunnos Rising and Tuatha Dea. Stephen DeRuby‘s newest CD, Awakenings, and the latest from Anima, Light of Aluna, arrived in RevKess’s inbox only days ago. Lia Scallon‘s The Luminous Pearl and Dan Kennedy‘s Intution have been floating around for a little while and have been played on Murphy’s Magic Mess on KZUM. This is their PMPChannel debut. SJ Tucker did the score to a Pagan themed film called Ember Days and she recently performed in Lincoln, NE. Cernunnos Rising just released their second CD, Urban Druid, and front man George Nicholas and his daughter Katie will be joining KaliSara and RevKess on the 22nd for an edition of Pagan-Musings Podcast. Tuatha Dea just released their third CD, The Tribe, and have been working long and hard with many talented musicians through a new project called The Tribe (Wendy Rule, Damh the Bard, and others have joined up). Tuatha Dea will be joining RevKess and KaliSara on the 29th for Pagan-Musings Podcast. Some videos you might like…. 2013 is in full swing and the hosts and producers of the Pagan-Musings Podcast Channel are busy working away on topics, interviews, stories, and getting more music to entertain the listeners. At this time they would also like to ask you, the listener, to contribute to the Channel. 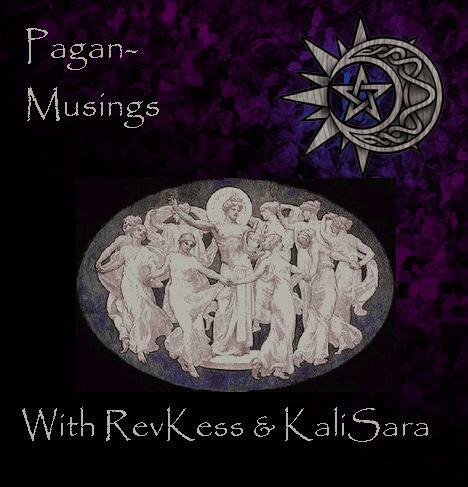 Pagan-Musings Podcast: Hosted by KaliSara and RevKess, Pagan-Musings Podcast is the mother show of PMPChannel. The hosts are always on the look out for new topics that catch the interest of the general Pagan community and would like to hear from you on what you would like to hear included in their shows. Music, books, topics of interest, upcoming events, whatever you think is important to at least a small portion of the Pagan community will be considered. Contact the hosts at paganmusings@gmail.com if you have something would like to hear discussed on the show. RevKess and KaliSara enjoy interviewing authors, musicians, and Pagans who are making a difference in the community. Some of the previous guests include Anne Hill, Peter Dybing, Kerr Cuhulain, Starhawk, Teo Bishop, and many more. Authors can send ebooks or inquiries for mailing address to paganmusings@gmail.com. Musicians are encouraged to send mp3s to the same address. Anyone can be a person making a difference in their community, anyone could be a guest of the show. 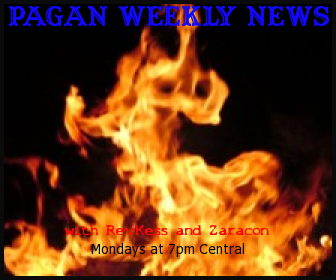 Pagan Weekly News: RevKess and Zaracon are always looking for other Pagans in the Global Community who would like to contribute to PWN. Recorded segments regarding news, events, and other information from your community is always welcome. You can email mp3s of your segments to paganmusings@gmail.com, please include “PWN submission” in the subject header. Past topics discussed on PWN include the World Between Worlds conference, PantheaCon, U.S. politics, changes in the Pagan blogosphere, body image in the Pagan community, and world religions. If you would like to try your hand at podcasting, the producers of the Pagan-Musings Podcast Channel are willing to help you explore that field of expression. For more information email paganmusings@gmail.com. On Friday, 21 September 2012, RevKess hosted an episode of Musica Pagani dedicated to music and songs about Mabon, the Autumnal Equinox and the season of Fall. The original scheduled date was Thursday the 20th. Minor conflicts came up and he mistakenly confused his dates. Thanks to a regular listener and fan of programming on Pagan-Musings Podcast Channel, he was reminded and made arrangements to produce the show on Friday the 21st. Click on image to get the audio feed for the show. Along with the music and songs, RevKess shared some mythology, folk lore and correspondences of the season. The play list is below followed by links to some of the information shared during the show. Poetry and prayers for the season, various authors and sources. 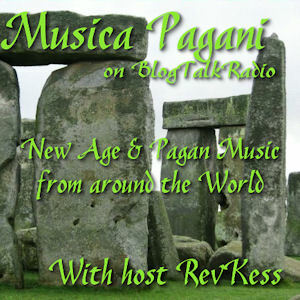 RevKess would like to thank everyone for listening to Musica Pagani and invites you to listen to any and all programming available on the Pagan-Musings Podcast Channel. Questions, comments, suggestions and more can be sent to RevKess via the PMPC email or in comments on this post. Like Musica Pagani on FaceBook for sneak peaks at up coming episodes, information on artists, song lyrics and videos. On Wednesday, 18 April 2012, the beautiful and talented Kellianna joined RevKess for Musica Pagani. 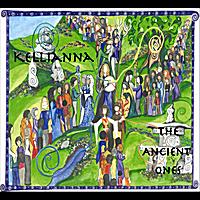 Kellianna is releasing her brand new CD, The Ancient Ones, this month and she agreed to come on the show and talk about her new CD and visit her earlier musical works. As of the writing of this post, you can pre-order the CD through Kellianna’s website or buy the digital download through Amazon or CD Baby. Kellianna shared stories about each song that was played, as well as part of the process of creating this new CD and how she came to where she is at in her career today. Along the way, she chatted about working with other Goddess musicians and the fun of being on stage with them. Enjoy this sample of some of Kellianna’s music and while you are there, browse around on KeepMusicPagan’s channel. Wonderful collection of old and new music from the Pagan community.